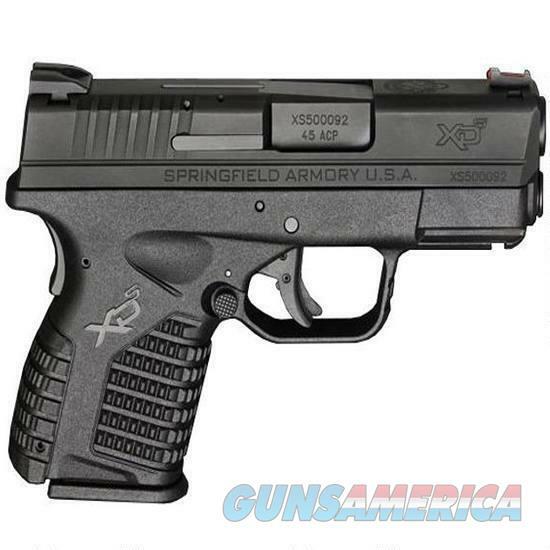 Description: The Springfield Armory XDs is one of the very best options available for concealed carry and personal defense when you need a reliable, durable, and accurate pistol. Springfield combines excellent ergonomics, enhanced safety features and utterly reliable functionality. It features a single stacked magazine capacity and a slim unobtrusive profile for easy concealment and comfort. Sporting the ergonomic feel that has made the entire Springfield XD line famous, it points naturally as it is raised on target so where you point is where you shoot. This polymer framed striker fired handgun is equipped with a grip safety and Springfield's Ultra Safety Assurance (U.S.A.) action trigger system. The Springfield XDs is a great choice for a concealed carry weapon or plainclothes professional duty.